Home › Advice › Should the New Zealand speed limit be raised? New Zealand’s maximum speed limit is 100kph. It was introduced at a time when cars didn’t have anti-lock brakes, tyres were poor-performing radial cross-plies, and our roading system had far fewer motorways, dual carriageways and passing lanes. Our speed limit sits in the mid-range of global limits, but at the low end of developed countries’ speed limits. Almost all of Europe has a limit of 110kph or more. Other areas of the world with 100kph speed limits are a couple of Canadian territories, some African nations, Japan, parts of South America and a couple of Asian countries. A few smaller nations have lower speed limits, most frequently where the roads or weather conditions don’t support higher limits, e.g. Iceland (80kph). The Isle of Man and Libya have no speed limit, and Germany has an advisory speed limit on some of its motorways of 130kph (but there’s technically no actual limit on those roads). Many people have proposed raising our limit to 110kph (or more) at least on roads which are built to accommodate higher speeds such as State Highway 1 north of Auckland between Oteha Valley Road and Silverdale. Motorways which are long, relatively flat, and with good visibility are ideal candidates, but there are reasons not to do this. Successive governments are committed to reducing our carbon footprint. The majority of vehicles are at their most economical at 80-90kph. Increasing the speed limit will increase our fuel consumption. Fuel use increases between 10-20% from 110kph to 130kph. One could argue that in the future we could use renewable resources and the majority of the vehicle fleet would be hybrid or electric and that this would become irrelevant, but it’s still energy converted from one source into heat. We don’t make our own petrol and diesel and are reliant on imports from other countries. This means our money flows out to other countries as oil-based products flow in. Not many roads in New Zealand are engineered for speeds above 100kph and this would increase the accident risk. Ideally, roads with a speed limit above 100kph should be separated by a barrier, be wide with good run-off areas and have fewer obstacles on the side of the road. So, is it worth the expensive and time-consuming legislation change just for a few kilometers? Inappropriate speed is going too fast for the conditions. If we set a blanket speed limit higher than the current speed limit then drivers need also to be able to understand when to slow down for things such as fog and heavy rain. Some drivers won’t slow down. While more and more cars are incorporating automatic braking technology, and most have anti-lock brakes, we can’t avoid 100% of human error, and the humans are the squishy filling in a steel sandwich in an accident. Autonomous cars are a little way off yet so we still have to pay attention to the road. Basic physics tells you that to dissipate the force from an accident at 120kph is exponentially harder than at 100kph. While the overall number of accidents might not increase much, the severity and impact of those that still occur would be worse and that would mean a greater strain on our health system. This is related to our reaction time and our braking distance. The average driver takes between 1-2 seconds to react to an emergency situation. The faster the vehicle is going, the more distance it’s covered before braking starts. Braking itself is the process of getting rid of forwards energy and converting it into heat, so going faster takes longer to stop. Going faster is not the solution to solving traffic congestion. Drivers that prefer to drive more slowly are intimidated by vehicles travelling much faster and then tend to slow down even more and drive more defensively. Drivers that drive fast often catch up with traffic then have to brake suddenly, causing a wave of braking behind them called a jamiton. This mixture of aggressive and timid drivers causes traffic jams. Traffic flows much more smoothly if everyone is doing the same speed. Part of the reason increasing the speed doesn’t increase the volume of traffic is due to catastrophe theory: a small change in circumstances results in a sudden shift in behaviour, and this small change is the tipping point of when the road reaches its maximum occupancy of vehicles per kilometre. If there’s very little traffic on the road, vehicles could theoretically do whatever speed they want and it won’t impact on congestion, but as vehicles get closer together, drivers’ feelings of safety about the following distances start to mount. Eventually, traffic become heavy enough that drivers have to slow down to maintain the gaps. This slows the whole network down and traffic congestion starts. While we could increase the limits for cars and motorbikes because they are capable of doing this, trucks, agricultural vehicles, cars pulling trailers, cyclists and buses are less able to increase their speed. A larger speed differential increases the risk of an accident, especially nose-to-tail. It has an impact on vulnerable road users like cyclists and pedestrians because they have to judge the trajectory and speed of an approaching vehicle in order to make their manoeuvres. Faster vehicles also cause more buffeting for cyclists. Higher speeds create more noise. Tyre noise increases as well as engine noise. Faster speeds put more stress on vehicles themselves. A very low proportion of accidents are caused by vehicle failure, but increasing the stress on poorly maintained vehicles will cause more of these types of accidents which can include things like tyre blowouts and brake failure. Drivers aren’t trained to handle high speeds. Most drivers have a number of bad habits learned over the years such as tailgating, taking the wrong line through a corner, not indicating correctly, and so on. 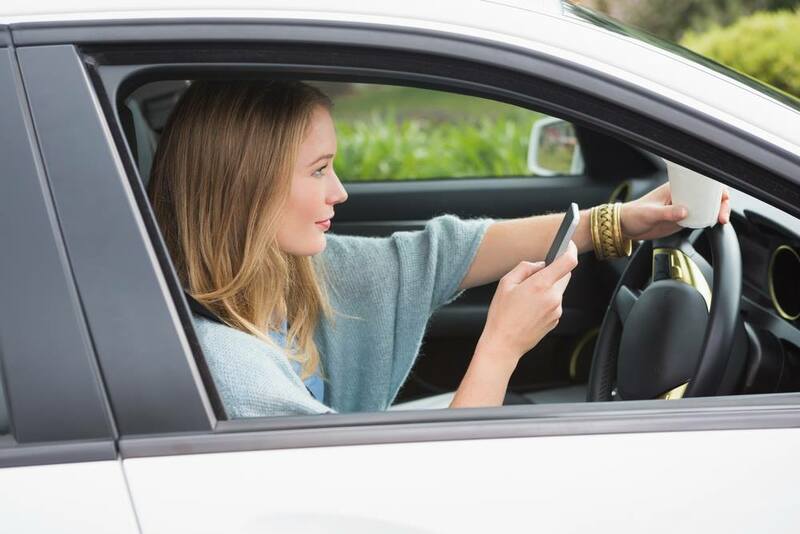 At higher speeds, these habits become more of a liability. As traffic increases, drivers spend more and more of their time driving at lower speeds and less time getting accustomed to higher speeds. We see this when overseas tourists from dense cities struggle to cope on our twisty mountain roads as they are only used to shuffling along in bumper-to-bumper rush hour traffic. If motorways are changed to 110kph, drivers merging from the on-ramps must attain a higher speed to merge smoothly. When a driver exits the motorway, they are carrying much more speed and there are several off-ramps where the first turn is marked at 35kph or less (e.g. Stafford Road exit on State Highway 1 just north of the Auckland Harbour Bridge). If the speed limit increase was enabled for passing lanes (only the overtaking lane, not the left-hand lane), then it would allow more vehicles to overtake whatever is holding them up. If it was enabled for single carriageways it would reduce the time exposed to danger when one vehicle overtakes another. In certain circumstances (roads that aren’t congested), having a higher speed limit results in drivers getting to their destination faster and this can improve productivity. In fact, an Otago University study estimated that if speed limits were increased to 110kph on motorways (not the whole road network) that there would be a net gain to the New Zealand economy of $22 million per annum. A portion of people that travel at 105-110kph now and risk getting fines will stay at that speed rather than go to 115-120kph, even though the new limit is 110kph. This means fewer people will receive speeding fines, freeing police up to work on other issues (hopefully not an increased number of accidents). Some people enjoy driving faster whether it’s the feeling of driving fast, or the feeling that they are getting there quicker. This could lead to a perceived improvement in quality of life. The arguments are quite compelling for leaving the limit at 100kph, but there could be a case for a variable limit on certain stretches of the motorway network. Using a variable limit allows for a higher limit when the weather is good and traffic is sparse, and a lower limit when the conditions don’t support it. This concept is already used on the smart motorway north of Wellington to reduce the speed below 100kph when conditions are bad. In Europe, variable speed limits are very common.